Thank you for your email of Friday last week in response to my complaint. I remain dissatisfied for the reasons provided below (my comments in blue). 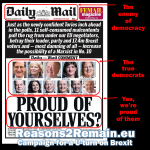 I shall be grateful if you can look into this matter further, as I believe the Daily Mail article was inaccurate and misleading, and a correction should be prominently published by your newspaper without further delay. 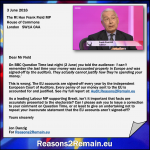 Please note that I am publishing your reply, and my response, on my blog at EU-ROPE.COM and will openly publish any further correspondence regarding this matter. Thank you for your letter about the Daily Mail article of 31 December headed ‘Sold Out! Flights and buses full as Romanians and Bulgarians head for the UK’ which has been passed to the Corrections department. We have summarized the main points you make with our responses to your claims. According to Wizz Air, they have not ‘doubled the number of flights from several cities in Romania in the past year’. Would you clarify who is your ‘respected Romanian political journalist’ and how he obtained this incorrect information? Your newspaper’s assertion that ‘because of demand’ Wizz Air flights were being sold ‘at around £300 each’ is also misleading, as is your assertion that Wizz Air has introduced new routes from Romanian cities. Also, as I was able to show in my blog article, as at 1st January 2014, contrary to the claims in your article, there were flight seats available every day from Sofia and Bucharest to London. British Airways also made the point that, ‘This time of year is always busy on most inbound routes given the time of year’. The Daily Mail has failed to provide any substance or evidence to back up your story’s impression that there was more demand this year for seats from Bulgaria and Romania to the UK as a direct result of ‘working restrictions’ being lifted. Bulgarians and Romanians were last night preparing to travel to Britain as restrictions on working here are lifted tomorrow. Wizz Air, the low cost airline that serves Eastern Europe, has doubled the number of flights it is offering. However, because of the demand, even these no-frills flights are being sold at around £300 each. Will the Daily Mail now publish a correction and apologise accordingly? In the article, we stated: ‘even these no-frills flights are being sold at around £300 each’. This was the case with Wizz Air and EasyJet. The screen grab on the blog shows flights at prices approaching £300. When we contacted our London–based travel agency on Thursday 2 January, we were told there was only one space on that day’s EasyJet flights from Bucharest available and no others until Monday 6 January. We reserved this seat at a cost of 310 euros (almost £300). A reporter managed to get one of the last seats on a BA flight today (3 January), at a cost of £374. This is considerably more than the usual price. You wrote that the prices quoted were ‘considerably more than the usual price’. But this simply wasn’t the case. The prices quoted were normal for this time of year compared to the same routes in previous years. The prices for January 2014 were not different to the ‘usual prices’ for January 2013. Also, it’s normal for all airlines to substantially increase the prices of tickets the closer to the date of flight. Your report gave the strong impression that prices had gone up because more Romanians and Bulgarians were coming to the UK as a direct result of the ‘lifting of working restrictions’. This was misleading. Will the Daily Mail now publish a correction and apologise accordingly? The article did not suggest that the EasyJet traffic had increased its traffic – only that airlines were almost booked out, which EasyJet is. Your article indicated that flights were fuller as a direct result of more Romanians and Bulgarians flying to England because of the lifting of ‘working restrictions’. The Daily Mail has provided no evidence to substantiate this assertion. Will the Daily Mail now publish a correction? 4. Buses are not sold out until 9 January. You were able to book one on 3 January through Balkan Horn. A reporter visited Sofia Central Bus Station twice on Monday 30 December. There are several agencies there which sell tickets for all the four operators who run weekly three-day bus journeys. None was able to sell him a bus ticket for travel before January 10. Another reporter repeated the visit and was told there was no seat available on a bus operated by Balkan Horn until after 9 January. We cannot explain how you received different information. Balkan Horn deny any knowledge of your reporter ever talking to them. Furthermore, Balkan Horn claim that they would not have given your newspaper statements that ‘everything is booked up’ or that there had been increased demand as a result of ‘the change in EU rules’ or that ‘it’s hard to get there’ (to the UK). These statements would not have been true, state Balkan Horn, so they wouldn’t have made them. Can you please confirm the name of your reporter and specifically who he claims to have spoken to at Balkan Horn and when and how? You claim that your reporter tried to buy a bus ticket from Sofia to the UK on 30 December but that none of the agencies were able to sell him a bus ticket before travel on 10 January. However, just because an agent does not have a ticket available, doesn’t necessarily mean that the bus was full, and it appears that the Daily Mail was wrong to come to that conclusion. In addition, as I reported in my blog article, and contrary to the claims made in your report, I was able to book a bus seat on the bus from Sofia to London on 3 January, and a bus seat from Bucharest to London on 7 January. Ms Georgieva also explained that the bus leaving on 7th January for the UK was ‘fully booked’ only because of a booking by 40 Romanians who travel to England to work on a farm there every year. Contrary to the impressions given in your article, these were mostly not Romanians coming to England for the first time because of the lifting of ‘work restrictions’, but those coming to England every year or returning to England after the Christmas break. Will the Daily Mail now publish a correction and apology for these incorrect statements? As for the suggestion that the £3000 flight mentioned in the article was via Dubai, this was not the flight to which we referred. That was an Alitalia flight (via Italy) priced at 3707 euros (£3080). I have not made any statement about the £3000 flight mentioned in your article going via Dubai. However, the Alitalia flight from Bucharest to London was routed via Italy and was surely a red herring: there are always flights with strange routes costing exorbitant amounts, but why even mention it when low-cost flights were still available? Why would anyone buy a ticket costing £3,000 when tickets were available for less than £160? It was totally misleading for the Daily Mail to suggest that flights were having to be sold for £3,000 for a single ticket as a result of increased demand for seats following the lifting of working restrictions. Will the Daily Mail now apologise for presenting such a false impression? Finally, we would endorse the comments of Louis Walker, posting on your blog, that the references to almost all flights being full represents only a small part of the article. The fact that the Daily Mail’s reference to ‘almost all flights being full’ represents just a ‘small part’ of your article is surely no excuse for incorrectly reporting that ‘small part’ of the article. Why not give a source for that ‘popular website’? Can you provide me with details of the website so that I can independently check it? Aleksandra Dzhongova, who runs a legitimate employment agency in Sofia, said other firms had been set up with the specific intention of helping immigrants understand Britain’s welfare system, rather than filling job vacancies. Why not report details and names of the other firms referred to by Ms Dzhongova, rather than just reporting her anecdotal ‘evidence’? Can you provide me with the names of these other firms so that I can independently check the claims of Ms Dzhongova? One firm offered to help its Romanian clients avoid paying fines issued by HM Revenue & Customs. What is the name of this firm offering illegal advice? Can the Daily Mail confirm that you have now reported these matters to the appropriate authorities in Romania, Bulgaria and the UK? We hope this deals with your concerns over what you claim are inaccuracies. Unfortunately, your reply has not satisfactorily dealt with my concerns. 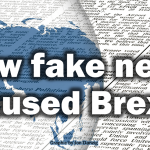 Your newspaper could have published a similar report on 31 December 2012 – instead of 31 December 2013 – to claim high demand for buses and flights from Romania and Bulgaria to England following the Christmas break. There was not an increased demand so far this year as a direct result of the lifting of working restrictions. Subsequently, your report was misleading and seemed aimed only to raise false alarm and fear among British citizens about the numbers of Romanians and Bulgarians coming to this country. I look forward to your further response. This e-mail and any attached files are intended for the named addressee only. It contains information, which may be confidential and legally privileged and also protected by copyright. Unless you are the named addressee (or authorised to receive for the addressee) you may not copy or use it, or disclose it to anyone else. If you received it in error please notify the sender immediately and then delete it from your system. Associated Newspapers Ltd. Registered Office: Northcliffe House, 2 Derry St, Kensington, London, W8 5TT. Registered No 84121 England. 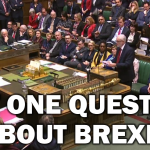 I wish to give the Mail an opportunity to explain why it ran a story that is full of so many inaccuracies, and to publish your response on my blog. 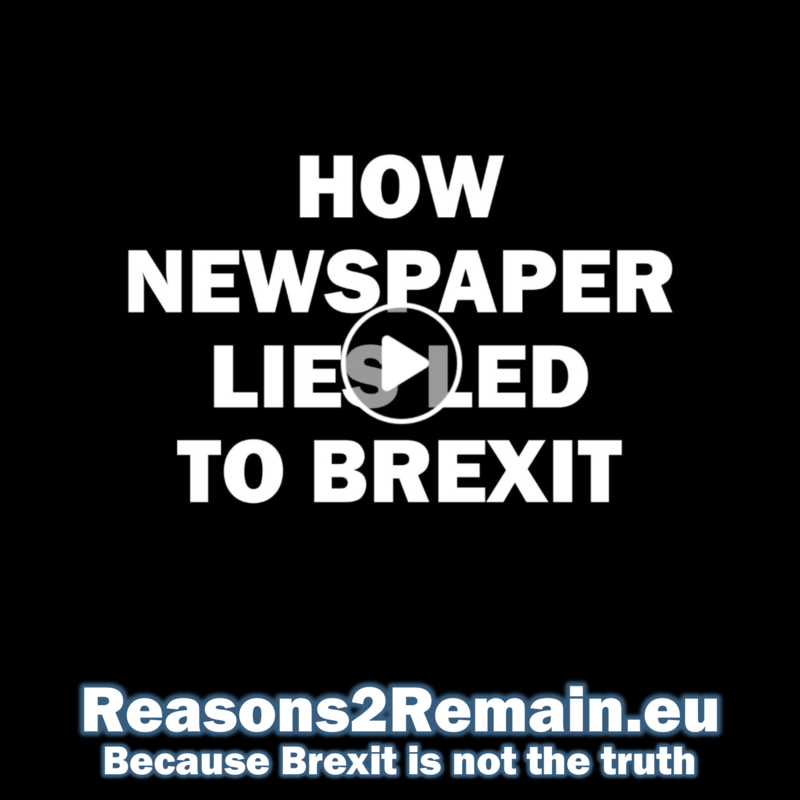 Once you have had an opportunity to check into this, and confirmed that your story is indeed inaccurate and misleading, will you be prepared to publish a correction and an apology in your newspaper? If you agree that your story is inaccurate, do you not consider that such stories are simply an incitement to racial hatred and xenophobia?